The program is divided into two streams with a focus on international management. One stream (Quantitative Business) is designed for quantitative decision analysts and one stream for creative and strategic thinkers (Innovative Management). 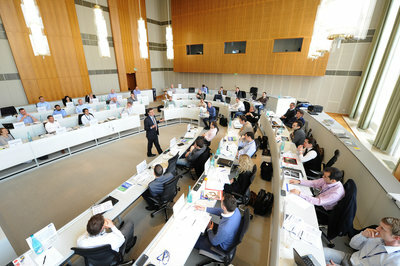 The ESMT MIM program uses an interdisciplinary approach: students apply analytical models to understand the global economy, product development, and new techniques in technology management within global companies. 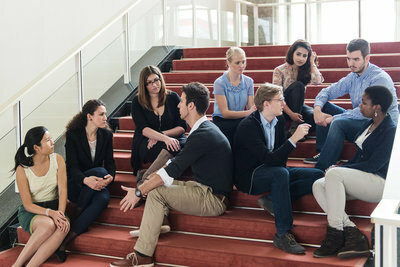 Students planning to pursue a further academic career also have unique access to research practices and projects with ESMT's faculty. ESMT's Master's in Management is an innovative program designed with input from top German companies. The two-year degree gathers a selected group of talented individuals who can show strategic thinking in their application to the MIM. Courses emphasize how these techniques and research methods can further an organization's global goals in a business context. Students will complete projects and an internship with global companies before graduation; some of this work should be done abroad. Balanced with soft-skills and career reflection in the classroom, the program will help students become more aware individuals who can make a difference in their organizations. We invite you to learn more about the ESMT MIM below. Cutting-edge technology management: Courses integrate qualitative analysis into applied methods for global business management so that graduates can work in a fast-paced business setting and work successfully with technology-based products or innovations and services on a global scale. ESMT's Master's in Management is an excellent investment in your future. Most students fund their studies through a combination of savings, parental support and loans. ESMT has limited scholarship funds for top applicants, based on merit. For parents, please see our page here for more information on funding options. Tuition covers all seminars, selected teaching materials, orientation, and career support.